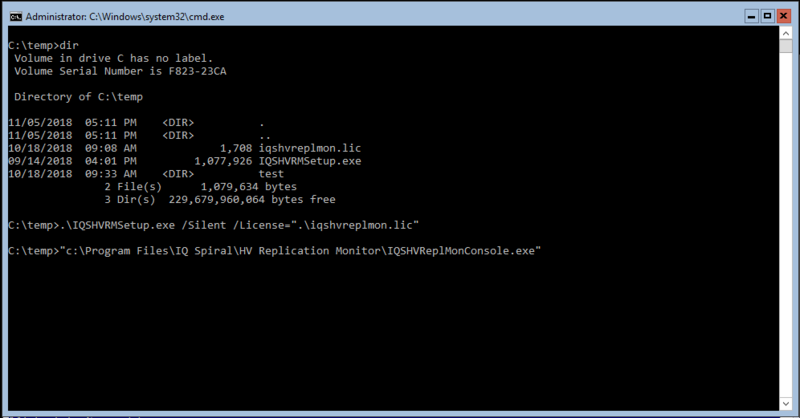 Upon successful purchase and download, copy the IQSHVRMSetup.exe file to your Windows Server (2012, 2012 R2, 2016, 2019). 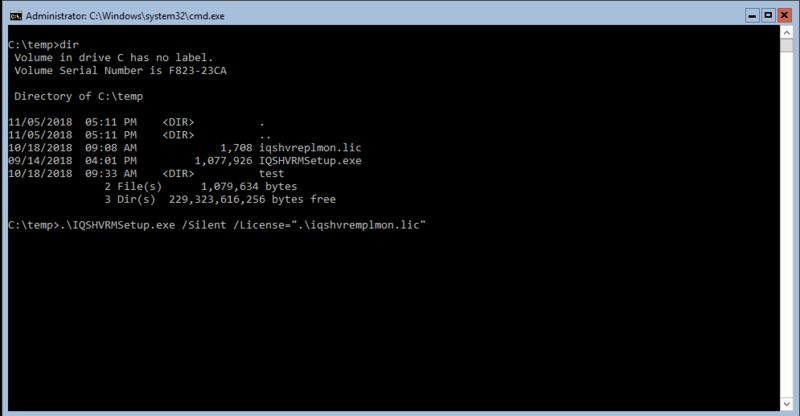 Copy IQSHVRMSetup.exe and Iqshvreplmon.lic file(s) to the desired server. The following example will be using Windows Server Core edition (which is generally commnad-line only). However, these steps will work on any version of Windows Server. 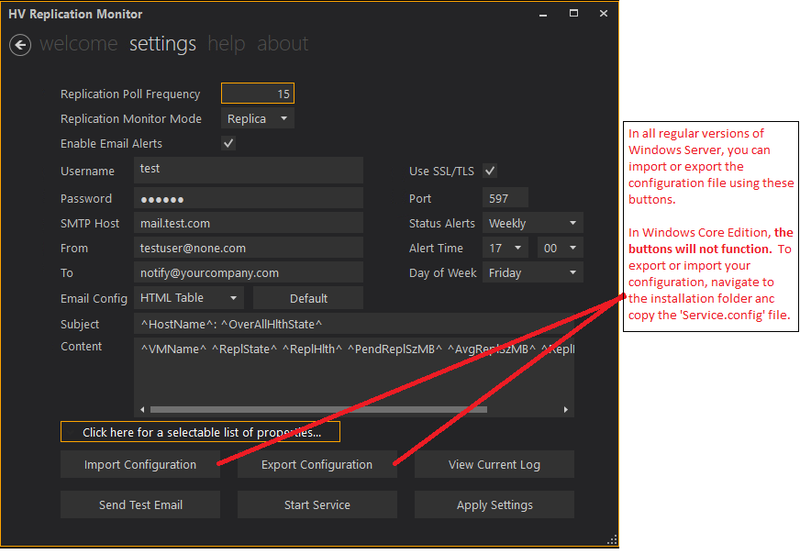 Use the GUI to configure your installation for this server. OR use the GUI to create a template configuration file for use on many servers. The software stores the configuration data for the Windows service is creates in a file called, ‘Service.Config’. When using Windows Core Edition, the GUI cannot access the Windows File / Open dialog boxes. So copying from the command-line is the required method of accessing the Service.Config file. /Silent - Optional. Suppresses most GUI output except a progress bar. /VerySilent - Optional. Suppresses all GUI output. /License - Optional. Specifies the full path of the license file. This file will be copied to the install folder location. Use quotes for paths that contain spaces. /ServiceConfig - Optional. 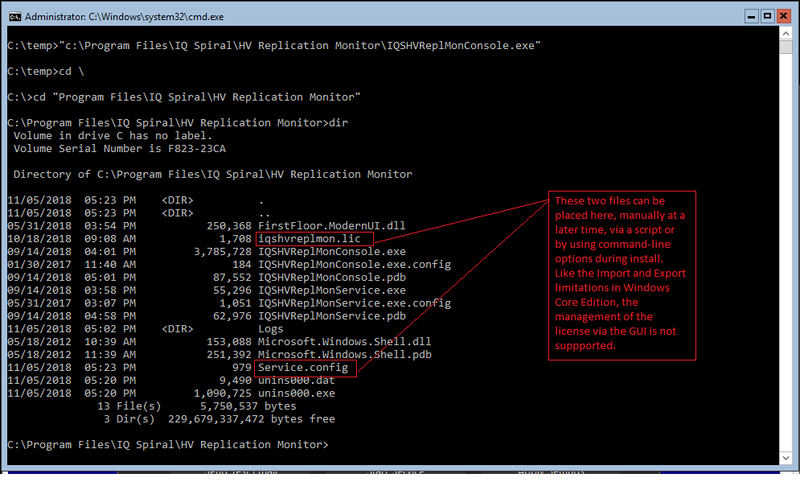 Specifies a copy of a preconfigured Service.Config file from another install. This will allow for carrying over of all settings. The encrypted SMTPPassword is included in the Service.Config, however, no other server can decrypt the password as the SMTPPassword as is encrypted with the machine key of a specific machine. Having the password included is useful for re-installs on the same machine. Service.Config can be copied from another installations %programfiles% installation folder. /SMTPPassword - Optional. Can be used to specify a password when the Service.Config file either does not have one, or is encrypted from another machine. Supplying a password will cause the installer to encrypt the password with the current machines encryption machine key. Ensure that quotes are used when paths contain spaces. .\IQSHVRMSetup.exe /Silent /License=".\iqshvreplmon.lic" /ServiceConfig=".\Service.Config" /SMTPPassword="<password>"